Willow Grace: 19Nov "Today I am Thankful For"
19Nov "Today I am Thankful For"
A few weeks ago I was lamenting to my friend KB I didn't know what to teach at our stamp club. She told me about the pumpkin idea she posted on her blog and we thought that it could be a good project to show. I also made one into a Christmas ornament by stringing ribbon through the middle of one made with red cardstock. At stamp club tonight, we came up with the idea of making a snowman out of 3 scallop 'balls' by using a 1" scallop for the head, then a 2" & 3" scallop for the body. 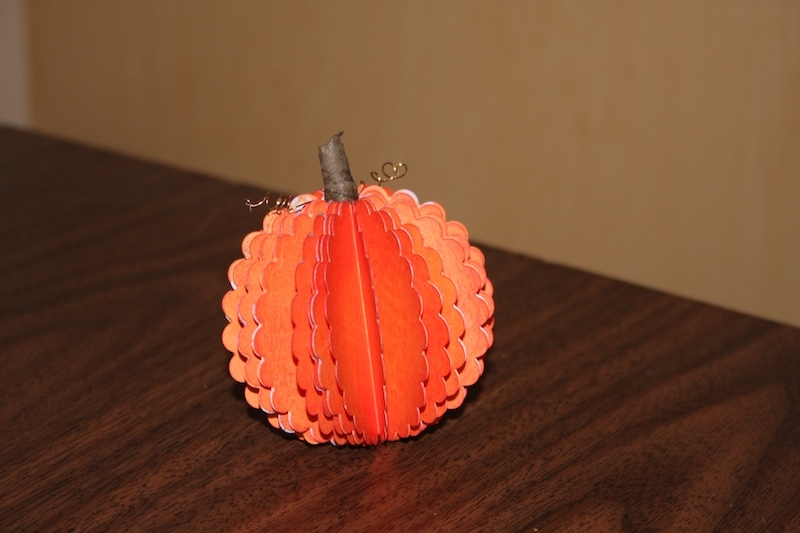 I needed another project to teach for stamp club because the scalloped pumpkin/ornament would be pretty quick. When I saw a similar sample of this Stationery Card Holder-Folder at my local crafting store, I knew I could figure out the dimensions on my own. 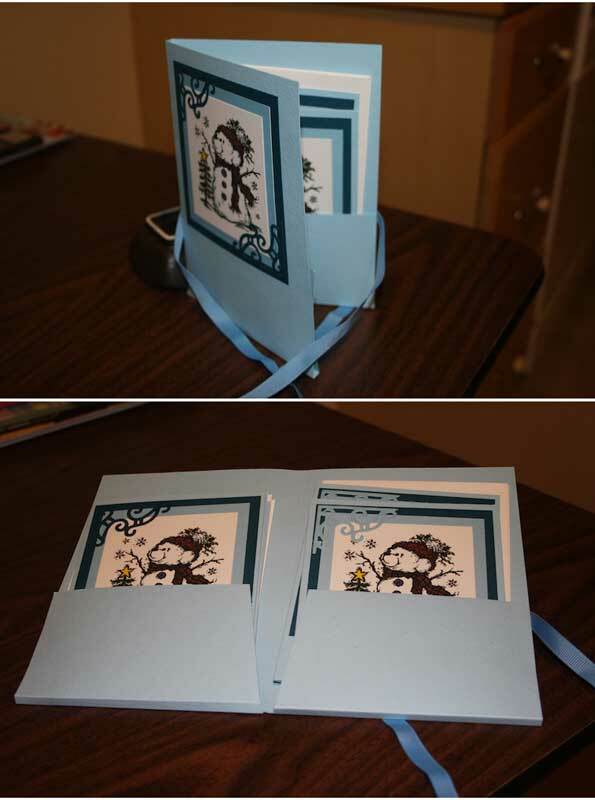 Inside, it holds 4 handmade cards and envelopes that match the outside theme. It ties closed with ribbon. I think this would be a cute hostess gift or teacher gift or something fun to sell at a craft bazaar. I made this one with a winter/holiday theme since it's that time of the year, but it would be cute with Thank You cards or Birthday cards or general No Theme cards. Incredible....your talent never ceases to amaze me.